Search "glass" 216 results have been found. The glass-fronted Riva2 670 Gas Fire has the style to appeal across the widest range of contemporary interiors - and a performance to match.With its refined cast detailing and taking inspiration from neo-Georgian architecture, the Ellingham adds a touch of grace and elegance to Gazco’s range of high efficiency, glass-fronted Riva2 fires. Gas Oven and Hob Pack New World NW601G Stainless Steel Built In Gas Single Oven, Electric Grill with 4 Burner Gas Hob The collection from New World is a fantastic way to liven up any kitchen and with built-in and freestanding models available, there’s plenty of choice for everyone. Gas Oven and Hob Pack New World NW601G Stainless Steel Built In Gas Single Oven, Electric Grill with 4 Burner Gas Glass HobThe Colours collection from New World is a fantastic way to liven up any kitchen and with built-in and freestanding models available, there’s plenty of choice for everyone. 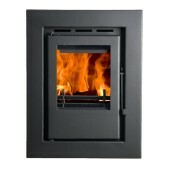 Boru 400i Solid Fuel Inset Stove Irish Made & Manufactured Stove.